Lord willing, in four days, I will be in England. But right now, this is my suitcase. 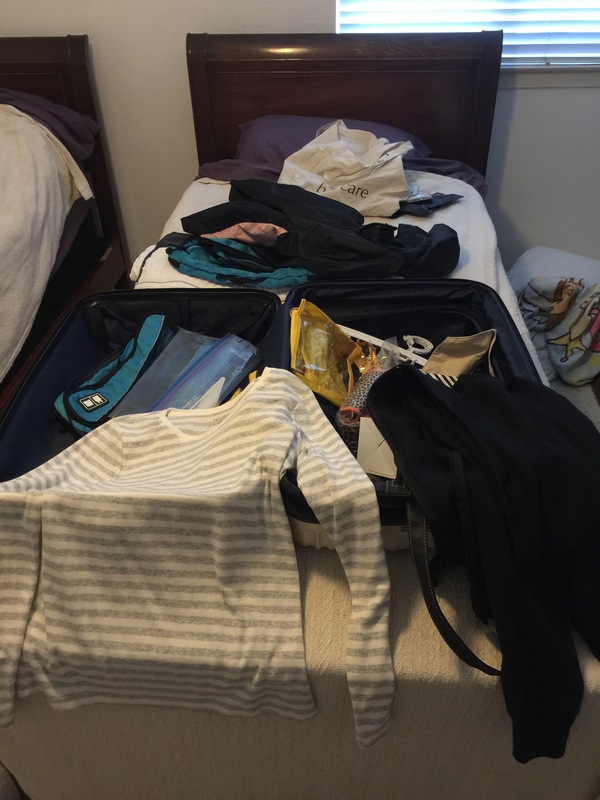 Fortunately, Terry has a basketball meeting all day tomorrow so I will spend the day packing and should be a whole lot more prepared than I am now. My traveling companion has been packed since June, but who’s laughing now?! Here’s the other problem. Since my biggest souvenir from my Italy trip was planter fasciitis, I have struggled with finding a shoe that is: 1) non-claustrophobic feeling; 2) comfortable; 3) helps my planter fasciitis, or at least does not aggravate it. That also means I have been ordering multiple pairs of shoes from Amazon for the last few months, returning them just as frequently. I have it narrowed down to the following. Yes, I know the black shoes on the left are hideous and they look like something my father-in-law would wear. Maybe my mother-in-law, but I think they look more masculine than that. (No disrespect intended.) But, they do not hurt my heel, and that is proving to be important. 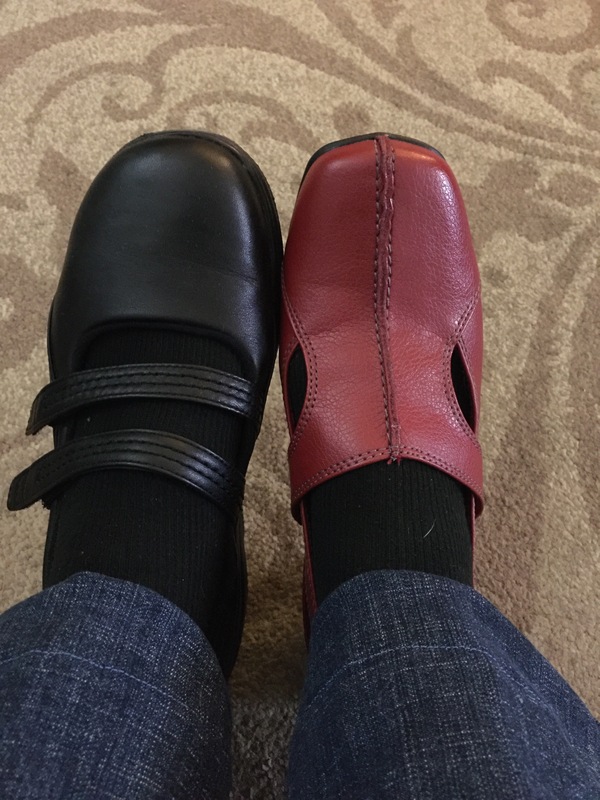 On the right we have another pair of orthopedic shoes that reminded me of shoes I saw a Pope wearing on TV. Yes, I know they are red. But interestingly enough, they are incredibly comfortable. Time to get serious about packing! Believe me, these shoes will fit in well in Europe/UK!!! Safe and healthy travels! I like them both, but I adore red shoes. I had a pair of mules/clogs that I loved until Jake the Naughty ate them. Then I still loved them, but I was ambivalent about Jake.